Yuya Hot Spring is the home for four of the Hazu Inns, and is a tiny, quiet spa town set in the heart of Oku-Mikawa, one of the loveliest regions of Aichi prefecture. A district of high, green hills intersected by deep valleys with swiftly-flowing rivers and traditional farming communities, Oku-Mikawa offers the increasingly rare experience of an older, slower, more relaxing Japan. A perfect base for exploring the region, Yuya is well served by public transport, including Japan Rail, and affords easy access to local points of scenic or cultural interest, such as the ancient Buddhist temple of Horaiji, the seven Adera waterfalls, the Civil War battleground of Nagashino, and an exhaustive network of nature trails and mountain hikes, many of which start from the spa itself. Yet, the main attraction of Yuya is probably its wonderful healing hot springs, cleansing and and restoring for body and soul, and a night or two at one of the four Hazu properties in the village will prove to be the perfect escape from the city. Each of the four inns has its own individual charm, and visitors will want to sample all four probably more than once before settling on a favourite.Although each is unique, they all share the same features of care and hospitality so warmly provided by the Kato family, who manage the Hazu inns. The Katos’ attention to aesthetic detail is matched only by their pride in the astonishing food served, with its focus on freshness and local production. Indeed, many of the dishes feature ingredients and recipes found only in the Mikawa region. And finally, for anyone missing the sea after all this mountain ambiance, there is one more delightful Hazu inn on the coast at Nishiura, to the south. 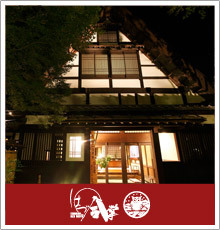 For more details on the properties in English, please follow the links on this page, or e-mail Hazu reservation centre(info@hazu.co.jp). Copyright (c) 2006 HAZU GROUP All Rights Reserved.